The Eye Center is located at 1225 Madison Avenue, adjacent to the current 11-story academic center. 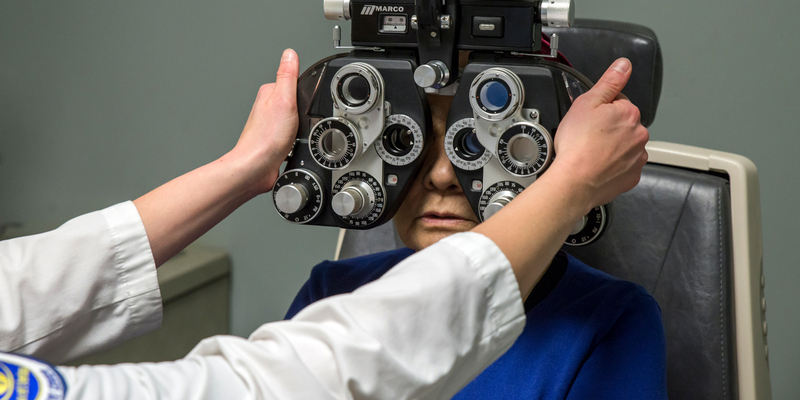 Completed in September 2001, the Eye Center provides more than 60,000 annual patient visits each year. The three level facility has 70+ examination lanes in addition to several service areas. It is designed to maximize patient care and enhance clinical optometric education.